Vortex Energy, a European renewable energy platform managed by the private equity arm of EFG Hermes, completed today the divestiture of a 49% stake in its Pan-European operational wind power portfolio managed and co-owned by EDPR, selling the stake to institutional investors advised by J.P. Morgan Asset Management. 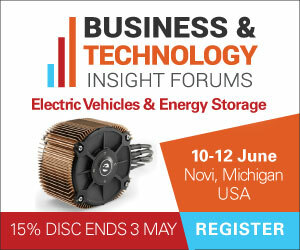 For more informations see the IDTechEx report on Energy Harvesting Microwatt to Megawatt 2019-2029. The portfolio includes 56 operational wind farms with gross capacity of 998 MW spread across Spain, France, Portugal and Belgium. Vortex Energy was launched four years ago and has grown to become a prominent renewable energy-focused investment manager in Europe and the UK with an 822 MW solar and wind portfolio and combined executed transactions in excess of EUR 2.4 billion. The sale of Vortex Energy's wind assets demonstrates EFG Hermes's ability to acquire, manage and exit renewable energy investments on a global scale. Vortex Energy is now embarking on a new chapter focusing on further investments in the sector, specifically targeting North America, Europe and Latin America, in addition to other areas. With a current footprint spanning twelve countries across four continents, EFG Hermes started in Egypt and has grown over 30 years of success to become a leading financial services corporation with access to emerging and frontier markets. Drawing on our proven track-record & a team of more than 4,455 talented employees, we provide a wide spectrum of financial services that include investment banking, asset management, securities brokerage, research and private equity to the entire region. EFG Hermes launched the NBFI Platform, EFG Hermes Finance, which will overlook activities in the non-banking finance field through EFG Hermes Leasing, Tanmeyah Microfinance, valU and EFG Hermes Factoring. This comes in light of the Firm's strategy to focus on product diversification and geographic expansion into frontier markets — which has seen the firm establish a physical presence in Pakistan, Kenya, Nigeria, Bangladesh & the United States.